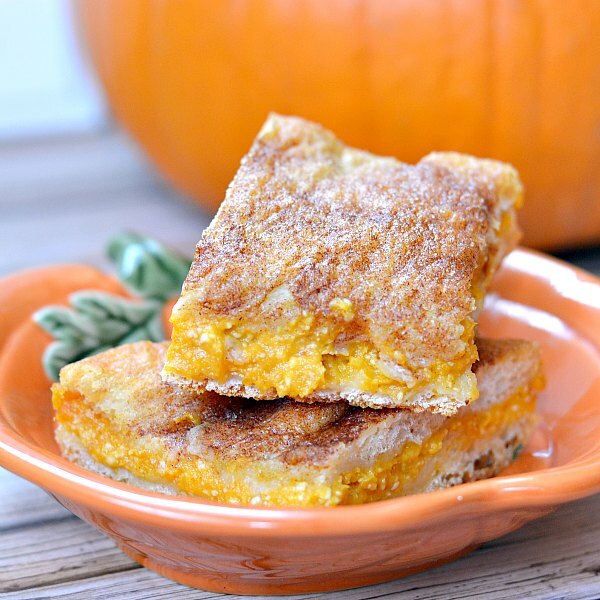 Skip the pumpkin pie this year and make these easy pumpkin cheesecake bars with just a few ingredients instead! There is a massive debate in my family every year about Thanksgiving – to pumpkin pie or not to pumpkin pie? I love pumpkin pie, but I'm the only one and I can't eat an entire pie myself. In the past I've made a pumpkin cheesecake, which is delicious, but it's also pretty time consuming to make. 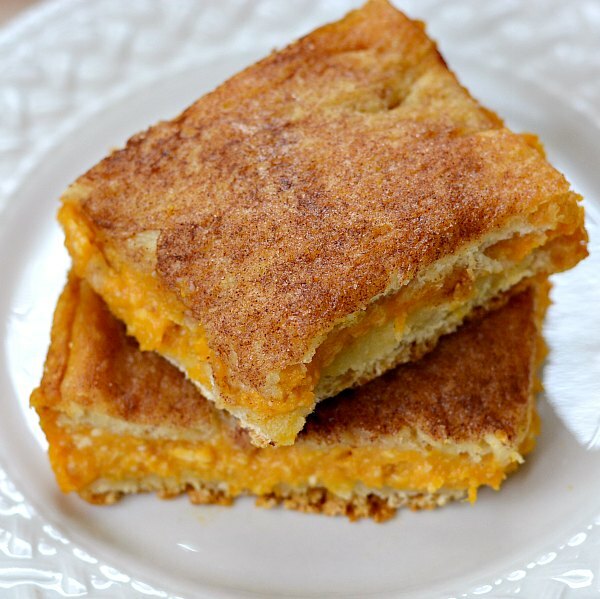 I've seen a recipe for Sopapilla Cheesecake Bars on Pinterest and they look amazing. So I used that recipe and turned it into a pumpkin treat for autumn and Thanksgiving. What I love most about this recipe is that it only needs a handful of ingredients so it's super easy to make. The top and the bottom crusts are made from 7. Pillsbury™ Crescent dough. I picked the dough up at Walmart back in the refrigerated section right next to the eggs. 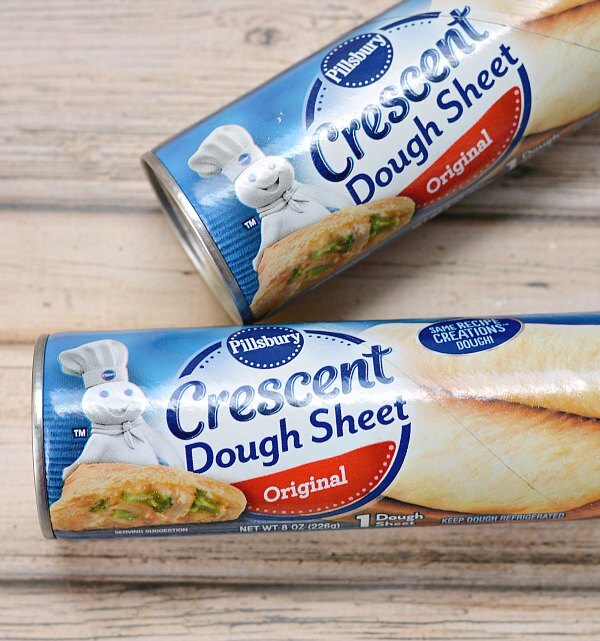 I accidentally grabbed Pillsbury Crescent Dough Sheets. I had no idea they even existed but I'm in love with them! You can use either the sheets or just the Crescent Dough. Just make sure to seal up the cuts in the regular dough. 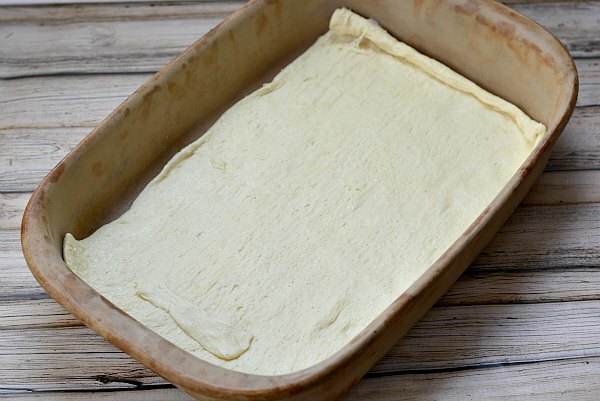 Lay one sheet of dough on the bottom of your baking pan. There's no need to grease the pan. I did gently stretch the dough out a little width wise to meet the edges of the pan, but it turned out to not be necessary. 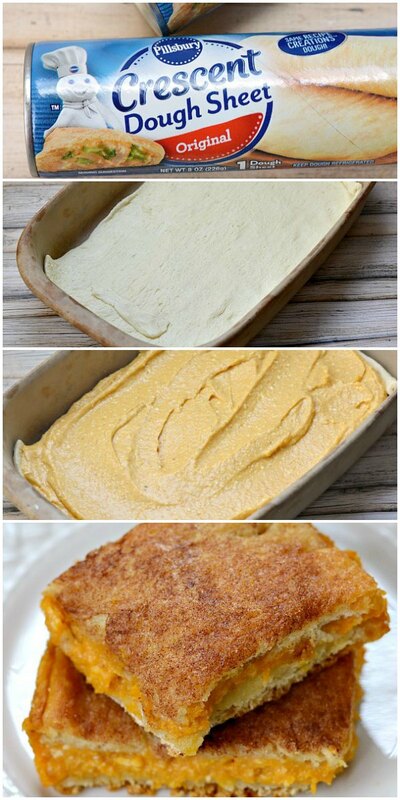 Top the crescent dough with a mixture of pumpkin, cream cheese, and pumpkin pie spice. I know, sounds terrible, right?! I started off using a wooden spoon to mix, but I ended up using an electric mixer to get the pumpkin and cream cheese to combine smoothly. Spread the pumpkin mixture on top of the crescent dough. Then top with the second sheet of crescent dough. I was a little worried about pouring the butter over top layer of crescent dough, but it worked out just fine. Sprinkle the cinnamon sugar liberally. The bars needed a solid 30 minutes to bake. I left them in for closer to 40 minutes because the top layer wasn't done yet. The butter should be absorbed and the top will be bubbling up and a deep golden brown. Allow the bars to cool completely and then chill before cutting. It will be hard to not just dig in, but resist the temptation. Cut the bars up or just leave in the pan until you are ready to serve them up. They are delicious with a nice hot cup of coffee and would be a perfect Thanksgiving dessert. Carefully unroll and lay one sheet of crescent dough on to the bottom of a 9 x 13 pan. Set aside. 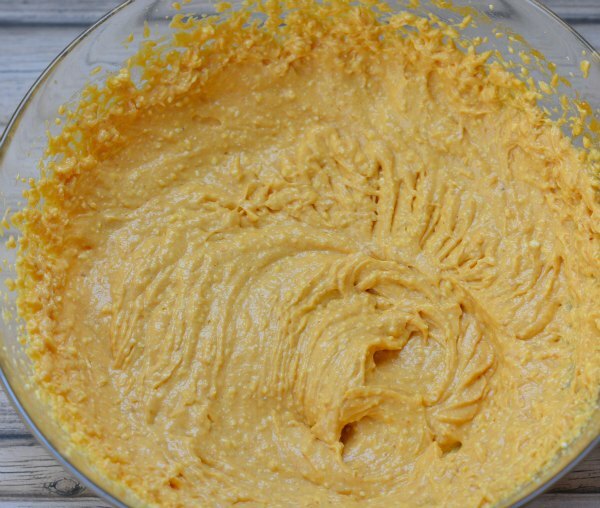 Use an electric mixer to cream together cream cheese, pumpkin, and pumpkin pie spice until the mixture is nice and fluffy. 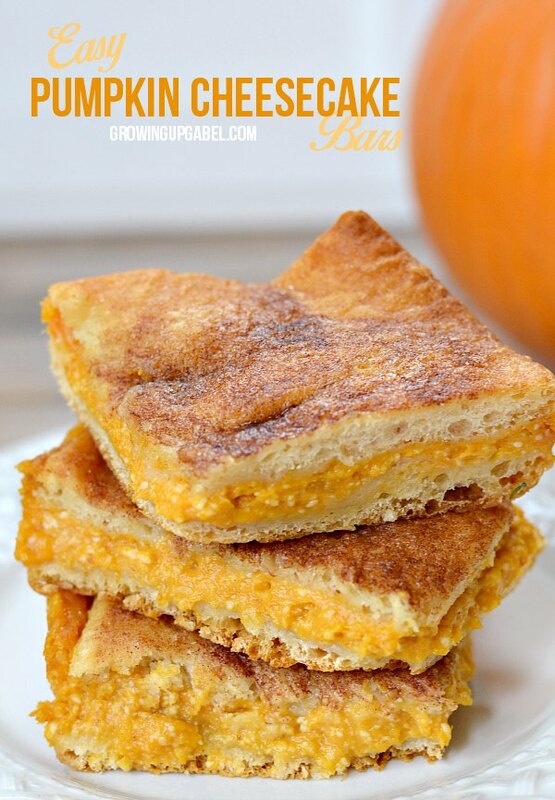 Spread the pumpkin cream cheese mixture on top of the crescent dough. Unroll the second sheet of crescent dough and lay it on top of the pumpkin mixture. 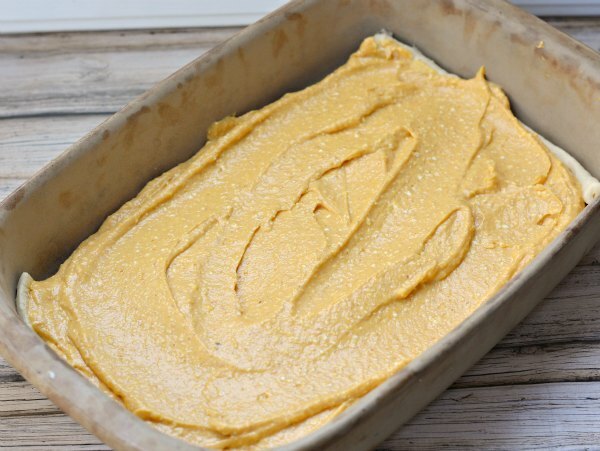 You may need to gently widen the dough to cover the pumpkin mixture. In a small bowl whisk together the cinnamon and sugar. Set aside. Pour the melted butter over the top layer of crescent dough. Sprinkle with cinnamon and sugar mixture (I didn't use all of it). Bake at 350 degrees for 30 minutes or until the top of the bars are golden brown and all the butter has been absorbed. Allow bars to cool completely and then chill. Slice in to bars and serve. This is a sponsored conversation written by me on behalf of Pillsbury. The opinions and text are all mine.